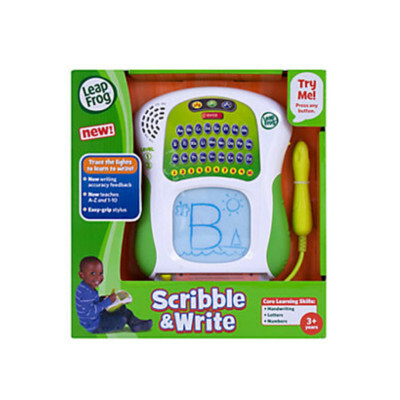 Description: Trace the lights to learn how to write. Children trace the lights to get practice drawing upper- and lowercase letters and numbers. Scribble and write provides stroke-by-stroke guidance and has a new mode that provides instant accuracy feedback. Best of all, scribble and write use a single retraceable surface for ease of use and portability.